1. Thank you very much for your time and effort! I would like to ask you where did you grow up and what were some of the early influences on you? I was born in a small town in the sauerland during the war in 1944. When I was 5 my family moved to Dortmund. I listened to German music on the Radio, we had no record player. When I was 12 I started listening to BFN and AFN radio stations of the English and American armies. I discovered Rock and Roll and my Life changed. I was listening to Elvis, Chuck Berry, Fats Domino, Jerry Lee Lewis..but my absolut efavorit was Little Richard, man what a voice and drive, he was a crazy guy but my King of Rock and Roll. When I was 15 we moved to a town called Essen. I started my first band The Gin Bottle Skiffle Group (What a name). We played skiffle music which came from England, sort of folk, country,blues. I played guitar, tenor and banjo. We played quite some gigs and made some money for 5 years. When I was 21 I left Gemany and I went to Paris were I was singin in a soul band and giggin` around Paris and around France. After that I went to Mexico. 2. What was your main interest in the early 60’s? Music or paintings? 3. Did you perhaps release anything before your solo album? 4. In 1969 you released your legendary LP. It was released on Orfeon records. Please share a story about making this album. Well one day I had an audition at Orfeon and we recorded Hello I Love Youas a try out. They liked it. After that I signed a contract for 2 LP`s in 2 years. (The second I never recorded because of a long lasting strike at all recording studios, a pitty because I had rehearsed with Los Esclavos all the new songs I wanted to record. 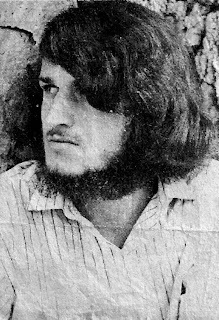 I left in the beginning of 1970. I needed money to record. They got me in touch with the musicians. Many of them were from the north from Chihuahua. 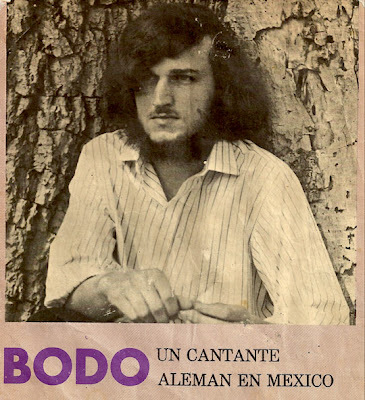 Some of them from Mexico City. Like Jorge Renee Gonzales, the brilliant organ player who is still very active and we are still in touch. The main guitar player was Juan Garcia, an excellent player. The bass on some songs was Chapalla. One of the drummers was La Gaviota (all nick names). We did not rehearse much it was mostly done in the Studio, which was a very large studio with a good vibration. I played guitar on Laziness and When I was seventeen. It toke about 4 month to record the album. The Girlsinger on Real Real was Rosy from Haiti. She had a nice voice. All this musicians were cool guys, I did several live gigs in different places with different line ups. 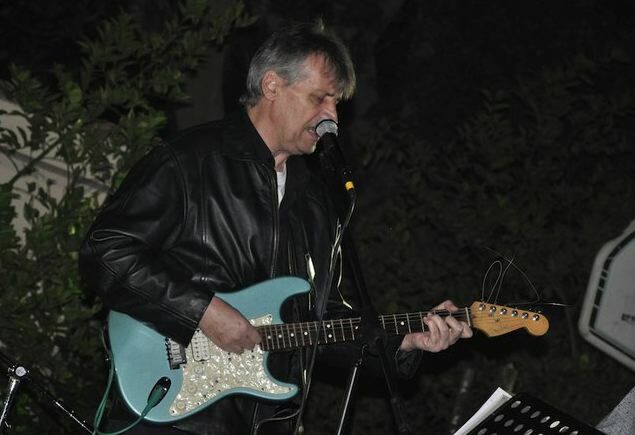 We played at the famous Champagne a go go, at Marie Isabel Hotel and other places I dont` remember the names. I apeared at about 12 Tv shows. 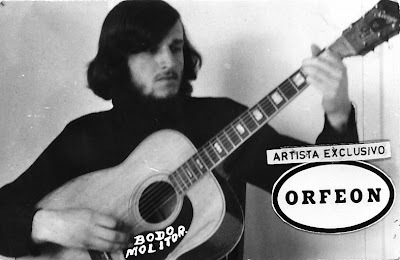 The Album was recorded in `68 and released in `69. 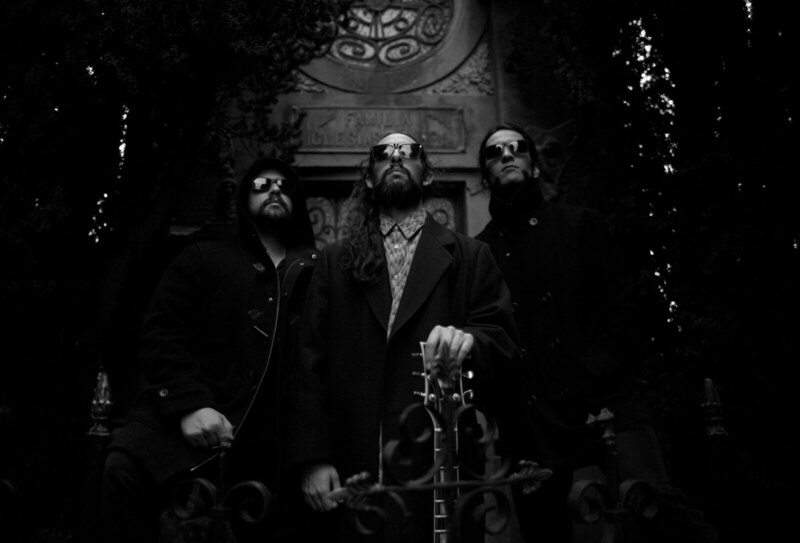 It was recorded at Orfeon Studios. 5. The cover artwork is absolutely mind blowing! I would like if you could tell me more about your work as an album cover designer…what does inspire you the most? Well when i was in Mexico i needed Money.I sold some Paintings after that Orfeon asked me to make the Cover for my Album.That was the first time i ever did it.MY Inspiration comes from the every day life what i see and hear around me..it`s all out there u know and it goes on until today……..
6. You designed many covers. I know you designed cover for legendary Kaleidoscope and also for La Libre Expresión…what else? 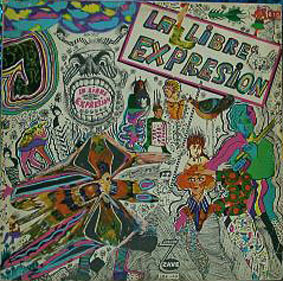 The Kaleidoscope cover was for Orfeon La libre Expresion for Discos Zave. I made 5 more for Zave the one for my younger brother Reinhold. One for Edghar, the Director of Zave (the producer of Kaleidoscope) Chuck Jones and I think some compilations. Enrique Rivas fun Colleccionista from Spain has them all. 7. 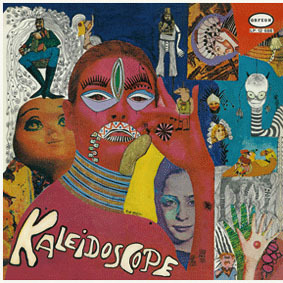 Would you like to tell me more about your connections to Kaleidoscope? They were really an amazing band. Can you share a few words about it, I would really appreciate it! 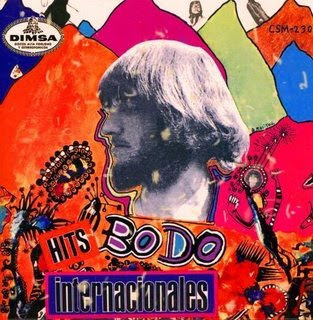 Funny, but we never met, I dont` know why, I just knew Edghar Zamudio who produced the LP in the Dominican Republic and published it with Orfeon.They asked me to make the Cover for the LP. 9. What happened after that? I know you are still very active…. 10. I would like to thank you again. Would you like to share anything else, perhaps? Yes my main musical Influence until now was the great Ray Charles. I met him twice..what a great man he was…. Thanks for doing this interview. I just got the Shadoks Music reedition and it is awesome. I still wanted to know more about the other people who play on it.